When in 1953 Saud Abdulaziz al-Saud rose to the throne of Saudi Arabia, the notion of modernization was still alien to the Kingdom. Breaking new ground, the new King pledged to devote part of the skyrocketing oil revenues to education, civil infrastructure, and even to an embryonic welfare program. As a result, Saud managed to portray himself as a fervent reformer, eliciting the sympathy of the White House. Saud didn’t stop there and, defying the Saudi clergy, he made a point of opening education to women. The new monarch was shaking the Kingdom’s cultural foundation to the core. Saud’s political trajectory uncannily resembles Mohammed Bin Salman’s (MBS). The young Crown Prince’s penchant for reforms has been immediately accompanied by the not-so-guarded optimism of Riyadh’s traditional allies. The Saudi anachronism, a perpetual albatross for Washington’s agenda in the Middle East, seemed on the verge of evaporating at the longed-for hands of MBS. Again, women rights lay at the heart of the reforming effort. In 1956, Saud Abdulaziz sponsored the opening of Dar al-Hanan, the first school for women in the Kingdom. Since 2018, Saudi women can drive. The two monarchs are also united by their yearning for a dominant role in the region, even at the cost of fanning the flames of war. The Yemeni adventure, the Qatar crisis, and the increasingly vitriolic posture against Iran constituted a baptism of fire for the Crown Prince. However, this very baptism of fire demonstrated that MBS, who has yet to formally complete his accession to the throne, is already eager to sink his teeth into the traditional intricacies of the region. As the White House drunk in the Crown Prince’s bravado, the latter laid the foundation for a more muscular and less risk-averse reorientation of Saudi Arabia’s foreign policy. Again, MBS’s bold initiatives parallel Saud’s groundbreaking accession to the throne. In the early 1950s, Saud wasted no time reshaping Riyadh’s hitherto prudent stance in the Middle East. He embraced Pan-Arabism and rode Nasser’s coattails, sending shivers down Eisenhower’s spine. When the King grew weary of living in Nasser’s shadow, he tried to convince Washington that he was the sole counterpoise to Cairo’s revolutionary fervor. Saud’s proposal didn’t cut much ice with the Oval Office. Indeed, in 1958, Nasser managed to win over Washington by suppressing communism in the newly formed United Arab Republic. As a result, the White House was now pursuing Nasser rather than Saud. Undeterred, the Saudi King orchestrated a bumbling plan to assassinate Nasser and bribe his protégé al-Sarraj. When the latter informed on the Egyptian president, it was open season on the Saudi kingdom. Not only didn’t Saud enhance the Kingdom’s clout, but he had also managed to expose Riyadh to Cairo’s vitriolic propaganda barrage. Saud had overplayed his hand and embarrassed the Royal Family. Eventually, at his brothers coaxing, the King agreed to step down in 1958. The assassination of Khashoggi catapulted MBS into the same predicament faced by Saud 60 years ago. Whether the Crown Prince is directly implicated in this tragic affair is immaterial. He has already offered a propaganda gold mine for the regional adversaries of Saudi Arabia, enabling them to cast a pall on MBS’s real commitment to change. The Crown Prince’s pledges to modernize represented the sole fig leaf that insulated him from the repercussions of his recent failures: Qatar managed to thrive under the 2017 blockade and even enhance its influence in North Africa; the Yemeni imbroglio, in turn, produced the world’s largest humanitarian crisis. Coupled with Donald Trump’s recent statements about the Kingdom, Riyadh has never appeared so vulnerable. In addition, the aftermath of the Khashoggi affair will likely take a toll on Washington-Riyadh cooperation in the Middle East. In the 1950s, King Saud’s injudicious attempt to assassinate Nasser obliterated at a stroke years of painstaking negotiations between Cairo and Washington, as the Egyptian leader immediately laid the King’s machinations at the feet of the White House. 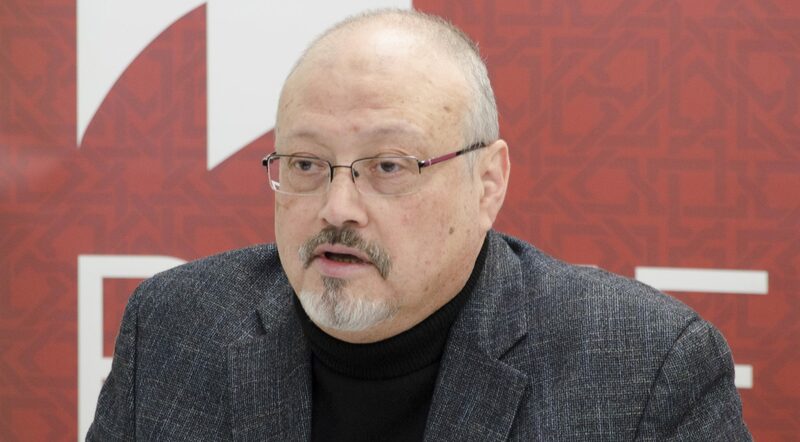 Similarly, even in the absence of sanctions by Washington, the murder of Khashoggi will likely induce the United States to temporarily keep Saudi Arabia out of the international limelight. Consequently, new arms deals will be conceivably placed on the back burner and talks on the proposed Arab NATO will likely slow down. Should Riyadh’s rivals ratchet up the pressure on the Kingdom, MBS will wrestle with an unsettling conundrum: either to endure the consequences of its newfound vulnerability or to procure arms from another source, offering Russia the opportunity to revive the moribund S400 deal. Either way, Washington will hold its breath. The stark similarities in Saud’s and MBS’s fall from grace offer an insight into these two monarchs’ perceptions of reforms. For his part, Saud pushed domestic reforms insofar as they enabled him to challenge Nasser’s ascendancy in the Arab world. Analogously, MBS intuited that his pledges to modernize had ingratiated him with Riyadh’s Western allies, granting him the latitude to embark on an increasingly aggressive foreign policy. Neither succeeded in parlaying domestic reforms into tangible gains on the regional stage. Both ended up overplaying their hands. Saudi Arabia doesn’t need to break with the past, it should learn from it. Utilizing reforms as a smokescreen for an unbridled regional agenda is a recipe for disaster, both for the royal family and its allies. Any genuine attempt at modernization should be predicated on the desire to better respond to the exigencies of the Saudi society, whereas MBS, following in Saud’s footsteps, has proved to regard reforms as no more than political expedients. Tragically, the assassination of Khashoggi brought to the fore all the shortcomings of the Crown Prince’s self-serving approach to modernization. In 1958, the royal family salvaged the Kingdom’s prestige by endorsing the accession of Faisal Abdulaziz. 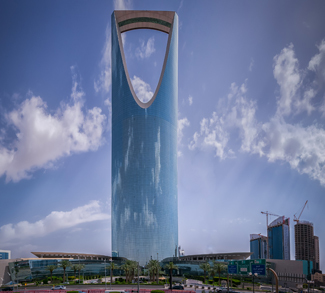 Eschewing the excesses of his predecessor, the incoming monarch shifted Riyadh’s focus inward, favoring a low-key foreign policy while implementing a phased reform program. The abolition of slavery and his Ten-Point Program were the fruits of this effort. Unlike Saud, MBS will conceivably remain at the helm of the Kingdom. However, with Riyadh now in the global crosshairs, the Crown Prince has little choice but to take his cue from Faisal, i.e. scaling down Saudi Arabia’s regional involvement and pursue modernization for the sake of it, without ulterior motives. As the Kingdom is increasingly engrossed in planning ahead, the Crown Prince may now find that the solution to his problems lies in one of Saudi Arabia’s most precious assets: its past.